Happy New Year, I hope your 2019 is filled with enticing aromas, fresh ingredients and delicious food. IN MY KITCHEN I’m making New Year resolutions. Resolution number 1 : Be more disciplined about blogging. There has been a shift in my daily routine I’m finding difficult to fathom. The indecipherable change happened about 6 months ago. It robbed me of the time for small pleasures like reading, writing, and messing in the kitchen, the stimulus I need to post on these pages. That has to change. Resolution number 2: Keep the camera at my side in the kitchen. 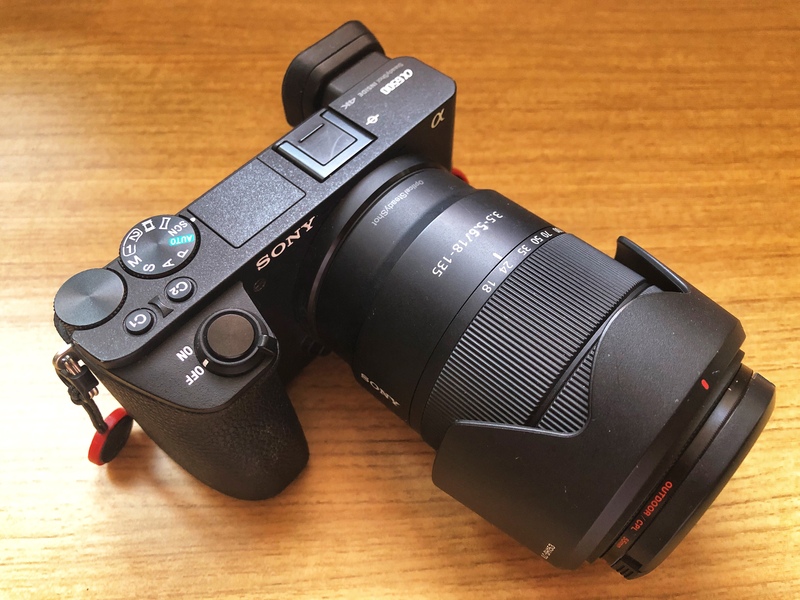 I have a fantastic new camera, a super lightweight mirrorless Sony a6500 which replaces my heavyweight Nikon DSLR. The change may seem like a backward step to a serious photographer, but after travelling through Asia with my new equipment, I’m convinced that it’s minimal weight makes up for any the perceived loss of versatility or function. It’s not unusual for me to say in the middle of consuming a meal, “I forgot to take a photo”. There really is no excuse. Resolution number 3: Use my recipe books for inspiration. I’m guilty of cycling through a list of safe dinner time options, a never ending list of stir fries, curries, pizzas and salads. I freewheel based on the ingredients I have in the fridge and pantry and while most of our meals are tasty and nutritious, they’re at best, pedestrian. I need some inspiration, some excitement in my kitchen. I need a household menu. 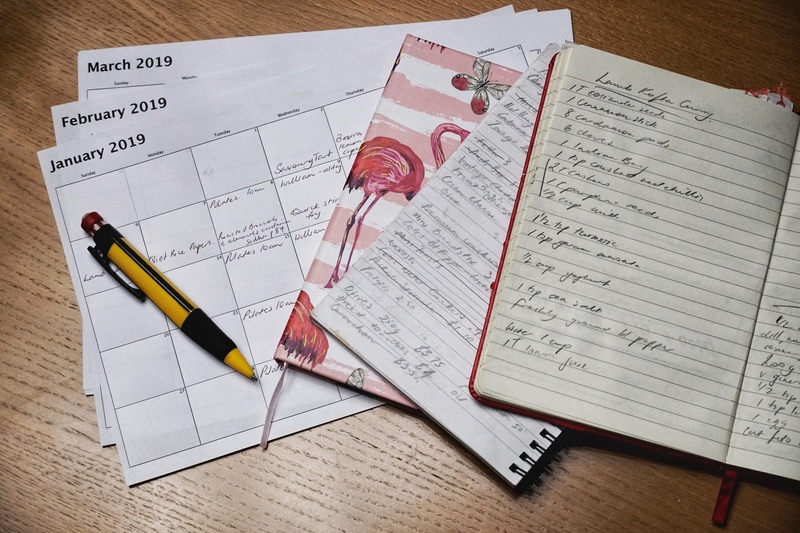 As I age I find I’m more easily distracted which is probably accounts for the need for these resolutions in the first place.There was once a time when I used a weekly planner to help me focus, to give my days structure. I even went as far as to create a rough guide to weekly meals which then interrupted the boring dinner circuit I mentioned above. Resolution number 5: No more excuses, just get on with it. 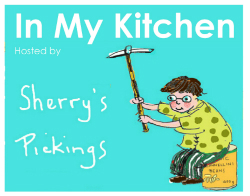 I am linking this In My Kitchen Post with the monthly international forum hosted by the lovely Sherry @ SherrysPickings. Click the link below to see what’s happening in other food bloggers kitchens, or better still, why not join. Happy belated 2019! and good luck with the resolutions. One of mine is to be a bit more pedestrian and use up what we have on hand for dinner. So far it’s been frugal and delicious. Enjoy your new camera! Happy New year Sandra! Your resolutions have hit home with me, as they have with other readers. I have been struggling with pictures, I also use my Iphone but I am unsatisfied with the results. These days the pictures seem to have become more important than the post itself. Food photography has become a big deal. A camera may be on my 2019 birthday/Christmas list so I will watch you blog for upgraded pictures. Happy New Year Liz, photography is in my blood, so somehow using the phone has always felt “lazy.” I’m loving my new Sony mirrorless and while we’re still getting to know one another, at this point I think it was a good choice. It certainly proved to be a great travel camera..
After years of faithful use from a compact Lumix point and shoot, we upgraded to a larger Lumix DSLR hybrid after the small one failed. It has an excellent zoom but is so big to lug on holidays. I often revert to my phone, which defeats the purpose! Resolution #3 – for me, it’s going straight to the internet rather than my treasured books. I’ll have to ween myself off Google. Happy New Year. Focus! That’s what I need, too—in all aspects of my life. I love the Fresh India cookbook (and her first one, too). Happy new year, Sandra. I suspect focus is a victim of the times we live in, thrown out the window because it slows us down. Happy New to you too Michelle. Happy new year, Sandra. I hope it is full of delicious food! i would imagine that even your ‘pedestrian’ stir fires and pastas are very tasty, but I get what you mean about needing more adventure in your cooking. The best camera is the one you have with you and if it is heavy you don’t tend to take it or use it. Good luck with the resolutions! Best wishes for a joy filled 2019! Your discipline is really impressive. I like your choice of cookbooks, too — I can see that you’ll be eating very interesting dishes when you cook from them. I’m a big fan of Claudia Roden though I think the book you pictured is published under a different title in the US. A wonderful post Sandra. Can I steal your list? I could happily adopt each of these resolutions and have been thinking along the same lines- with regard to more frequent food blogging, taking pics when I’m out and about and using cookbooks more often. I’m in the midst of another resolution- the great freezer emptying to make way for this seasons fruit. There isn’t too much waste this year- most will end up in the compost or go to the chooks. Love the look of that camera- I may be due for an update on my almost significant birthday this month and shall sound large hints. I am really looking forward to your inspiring cooking posts this year. Remember when your daughter Leah ran the Cookbook Guru club? I wish it would come back- I loved choosing something from a book each month and often searching for them in libraries. Thanks Francesca and please do. I need to take advantage of the freezer more because the convenience of pre preapred or part prepared meals cannot be over stated. I miss the Cookbook Guru too. Perhaps you and I could cobble something similar together as Leah has well as truly moved on from food blogging. I concluded after discussing it with her, I don’t want to be tied down to the admin aspect. I can understand the need for a lighter and smaller camera. I used to use a point and shoot that I loved, but now, it’s my iphone. I don’t get the best photos from it, but at least i have it on me, and I can use it inconspicuously. Good luck with everything! and Happy New Year! This entry was posted on January 3, 2019 by ladyredspecs in Food, In My Kitchen and tagged IMK, in my kitchen, Monthly In My Kitchen, new year resolutions.